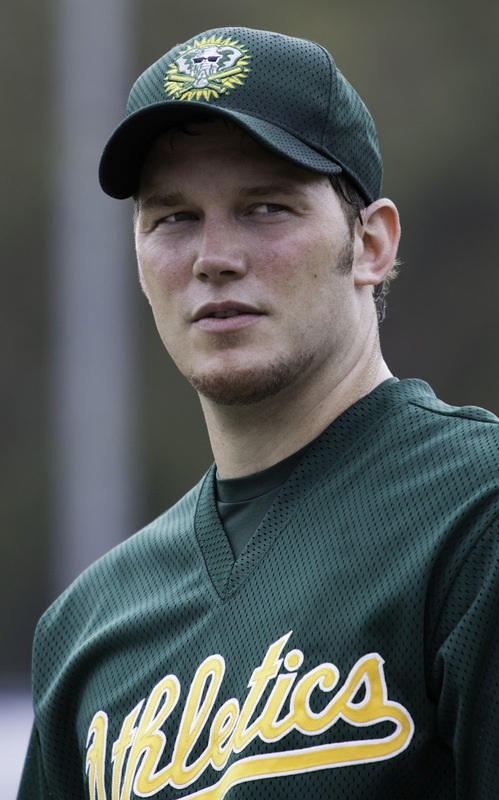 Joining Brad Pitt and Jonah Hill in Columbia Pictures’ critically acclaimed and Oscar-nominated film “Moneyball” are three promising actors who play unheralded baseball players turned sports heroes: Chris Pratt, Stephen Bishop and Casey Bond. “Moneyball” is the true story of Billy Beane (Pitt), once a would-be baseball superstar who, stung by the failure to live up to expectations on the field, turned his fiercely competitive nature to managing a pro baseball team – the Oakland Athletics, or simply, Oakland A’s. 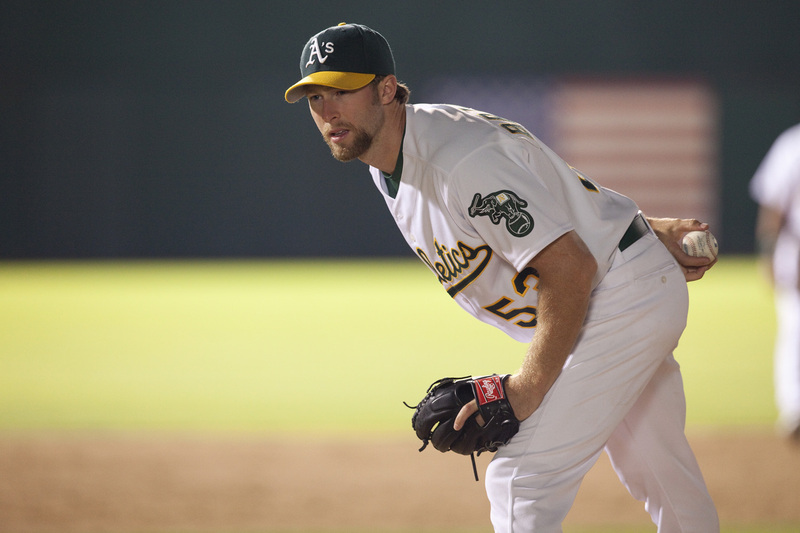 For casting for the players of the 2002 Oakland A’s, director Bennett Miller put the focus on his desire to capture stark, naturalistic baseball action. So he looked for the real thing, casting primarily experienced ball players who could act. 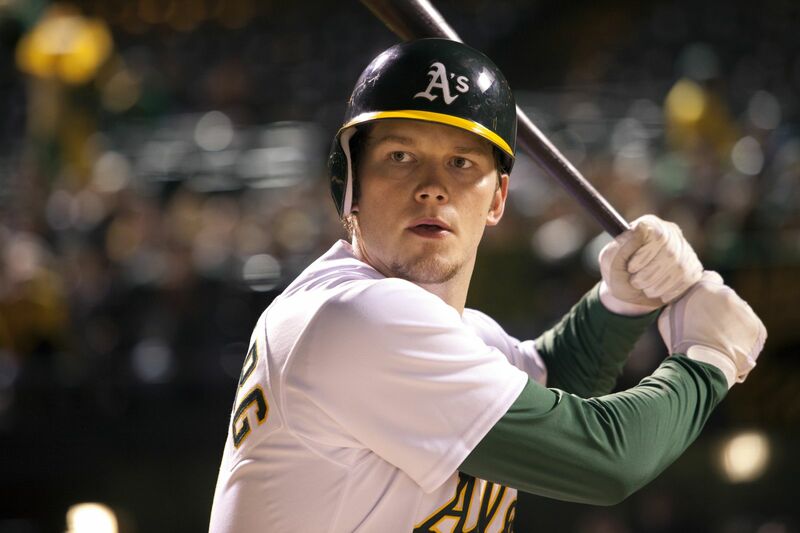 Early on, the filmmakers enlisted Michael Fisher (“The Blind Side”) to serve as the film’s baseball coordinator, who set out to assemble, train and choreograph a cast who could authentically recreate the A’s ballgames down to the details. Casey Bond as Chad Bradford, Pitcher, #53. Bond, a former college pitcher and outfielder, plays the A’s idiosyncratic relief pitcher who throws in a submariner, knuckle-scraping style. Bond, who was drafted into the minor leagues as a centerfielder for the San Francisco Giants, quit the game to become an actor, having landed a national commercial in Nashville, and subsequently moved to Los Angeles. Based on his resemblance to Chad Bradford and his ability to pitch with Bradford’s unique underhand style, he was cast in the role. Opening across the Philippines on March 7, “Moneyball” is distributed by Columbia Pictures, local office of Sony Pictures Releasing International. Visit http://www.columbiapictures.com.ph for trailers, exclusive content and free downloads. Like us at www.Facebook.com/ColumbiaPicturesPH and join our fan contests.